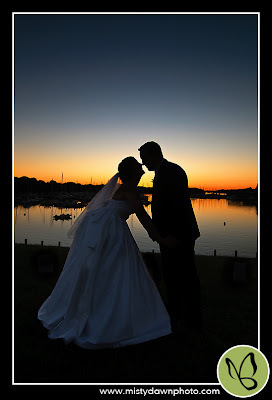 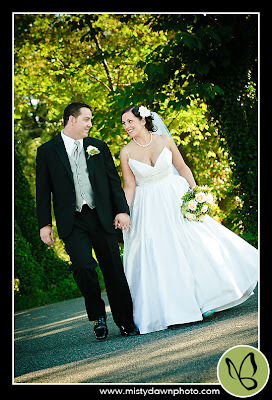 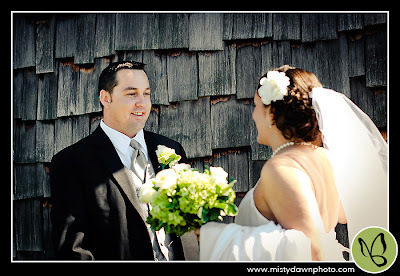 Beth and Mike were married this October in Maryland. 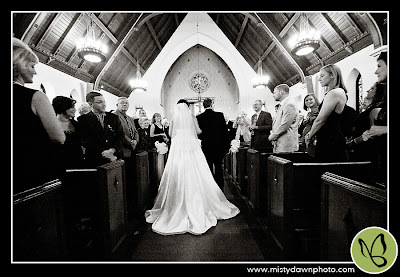 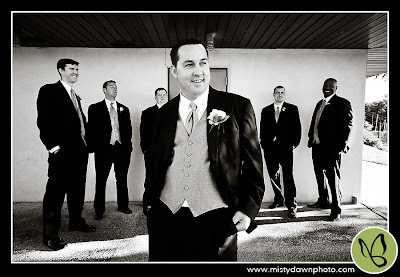 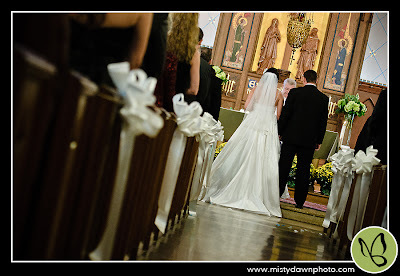 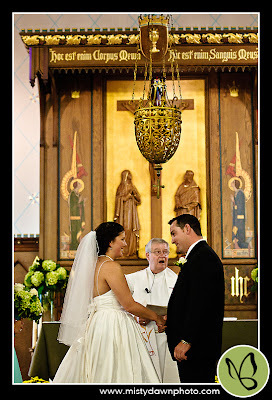 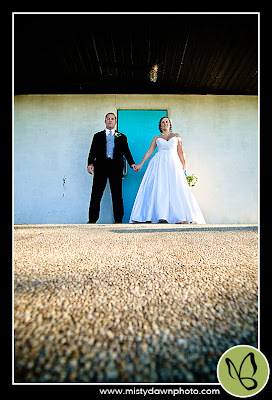 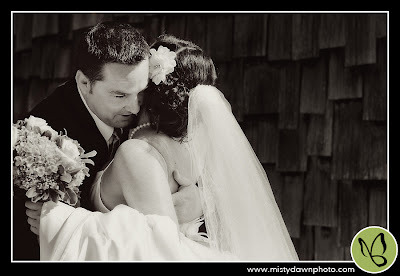 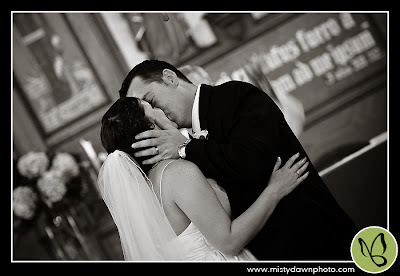 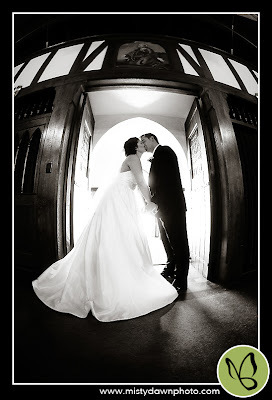 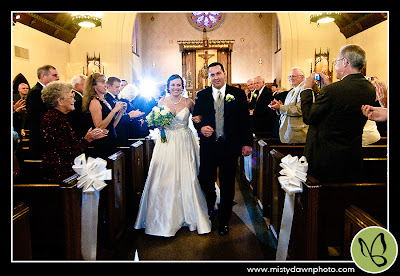 Their ceremony was held at St. Dennis Church, followed by a reception at Kitty Knight House. 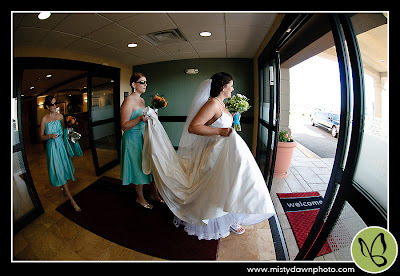 The girls started their day with hair and makeup done by Bethany from Gloss Salon in Delaware. 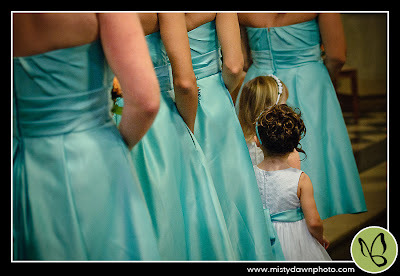 She did a fantastic job making everyone look absolutely beautiful! 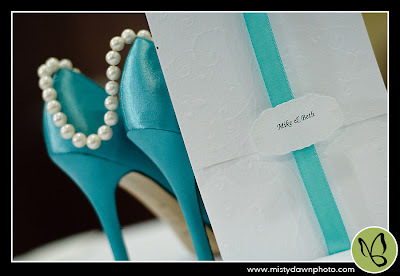 All of the florals, provided by Elana's Broad Street Florist, really complimented the color scheme of tiffany blue and white. 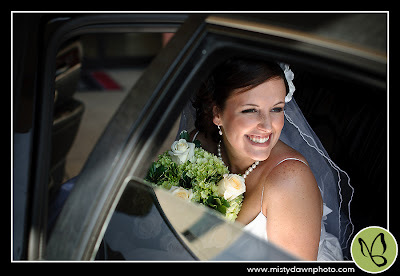 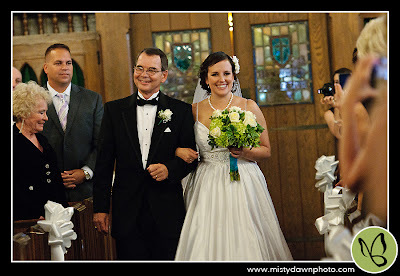 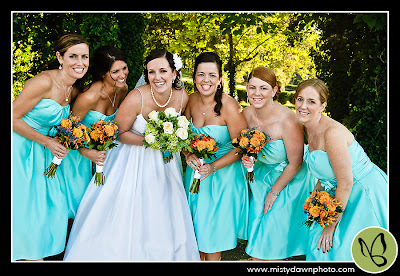 Beth's bouquet was a combination of whites and greens and was wrapped in a tiffany blue fabric. 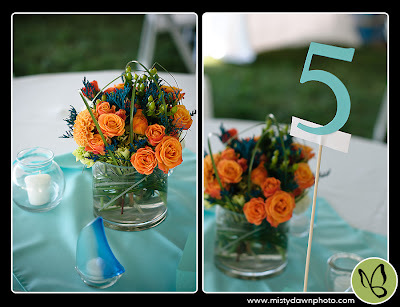 The bridesmaids bouquets, which were greens and oranges, really popped against the girl's dresses! 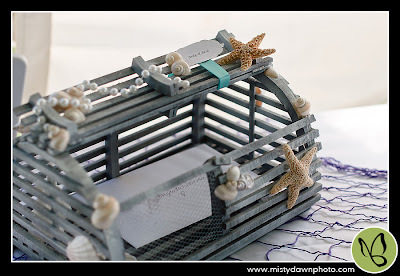 There were also a few nautical touches throughout the reception, fishing net on the gift table, crab pot for cards, and sailboat tealights for guest tables! 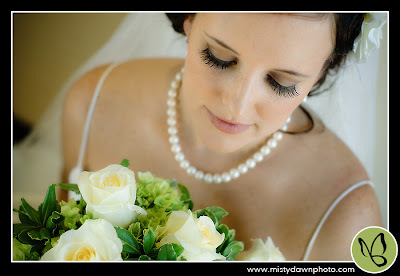 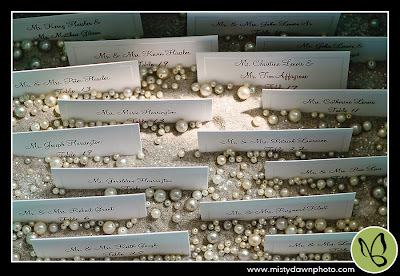 The place cards were displayed in a box of sand with pearls scattered all around. 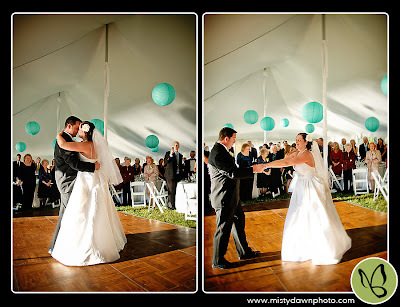 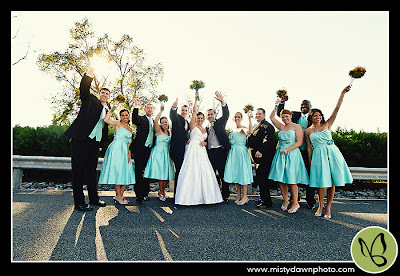 Tiffany blue paper lanterns hung from the tent and when the sun went down, it looked very elegant! 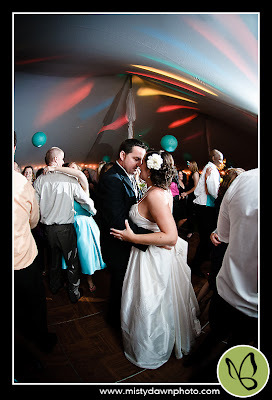 Kyle from Synergetic Sounds got everyone out of the seats and dancing the night away. 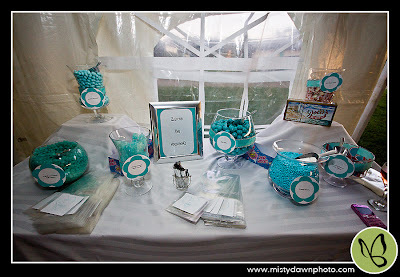 Guests enjoyed the all blue colored candy buffet! 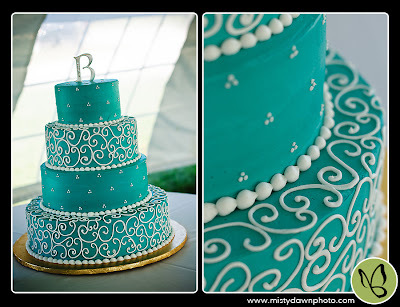 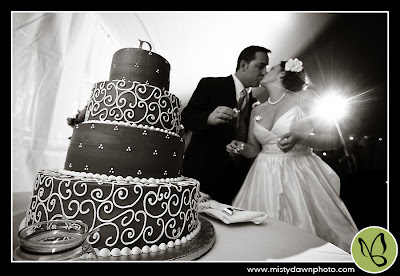 Bing's Bakery made the lovely four tiered cake with swirls on every other tier. 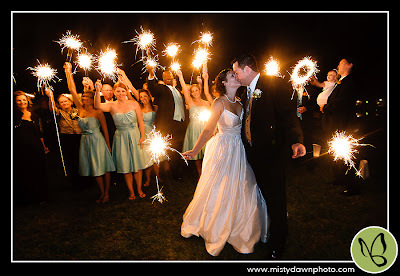 They were sent off with a sparkler sendoff! 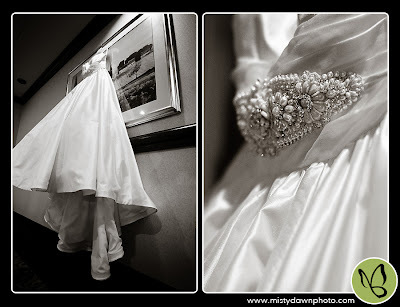 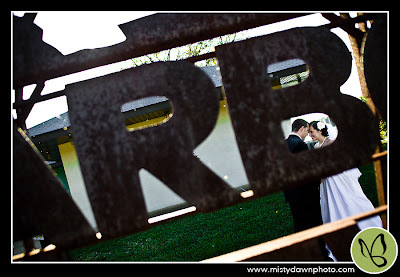 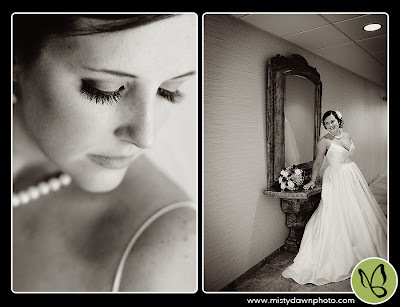 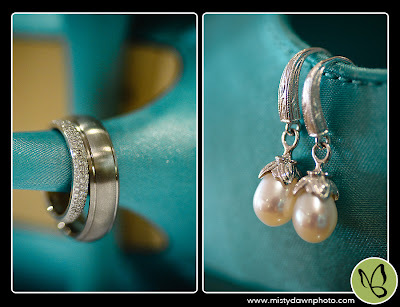 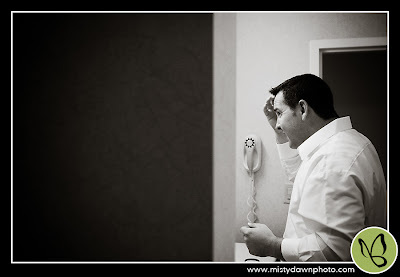 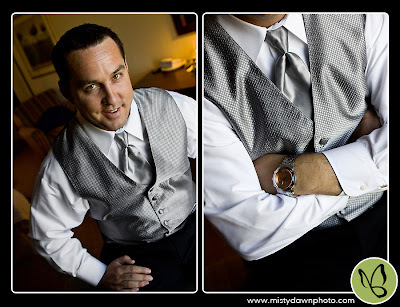 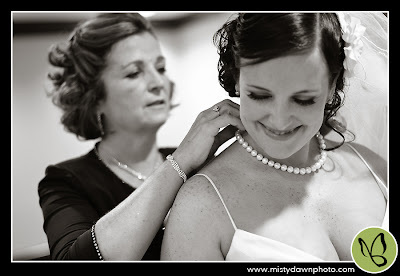 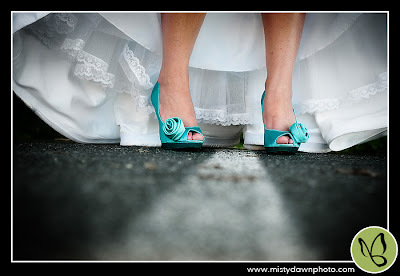 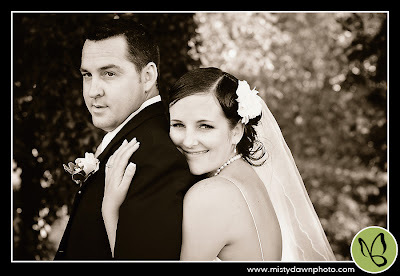 A big thanks to Misty Dawn Photography for sending us so many of these gorgeous images, it was hard to narrow them down! 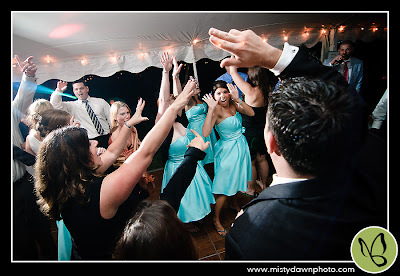 Looking for a FUN event on New Year's Eve?